Home > Kingdom Rift > Kingdom Rift Events on 2015/8/07! During the event, players who recharge a certain amount of gold will get additional Gold as a reward. 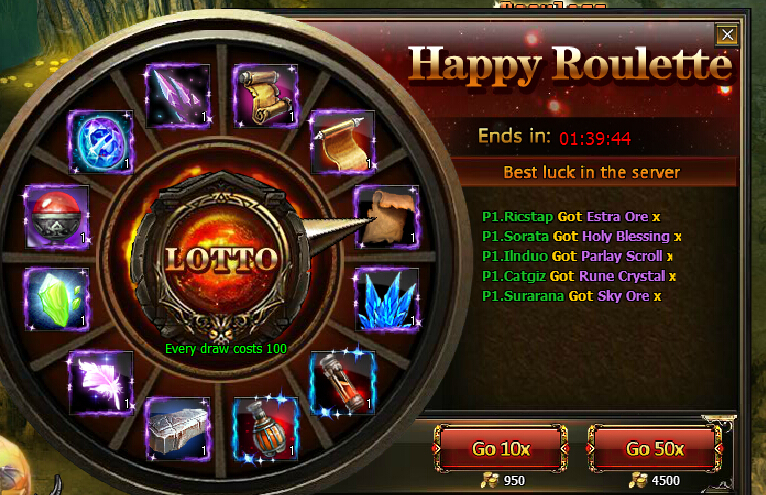 Plane Key or Gold can be used to spin Happy Roulette. Plane Key will be used first, and Plane Key used up, it will take Gold to spin.